Despite a soft lead overnight, and futures trading flat before the open, the local market has again managed to charge higher on intraday buying for the third session in a row. 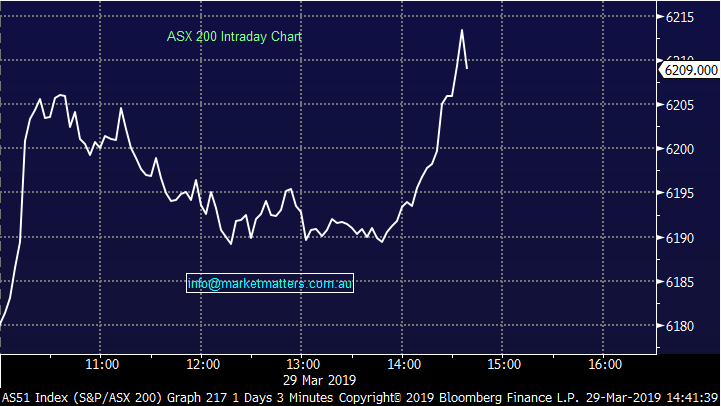 Asian markets stormed ahead led by China’s consumer market spurred on from reasonable news out of the trade talks with the US and the Chinese government signalling further stimulus. 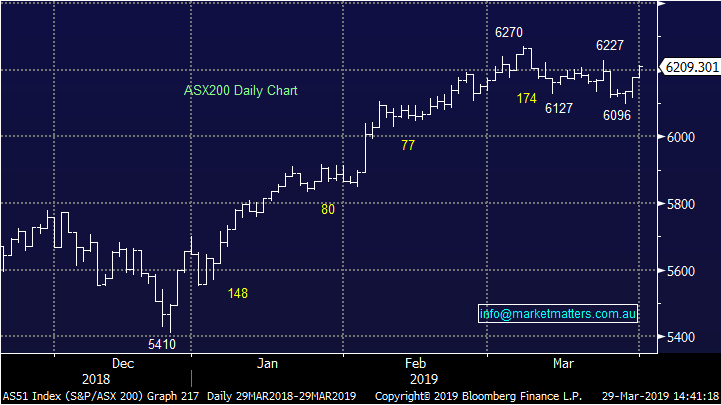 The Shanghai index was up over 20% for the quarter – this is compared to the local market which is up around 11% for the quarter, still our best effort in quarter since the September ‘09 when ASX rallied out of the post-recession doldrums. Overall today, the index is currently trading up +32pts or +0.53% to 6206. Dow Futures are trading up +66 points / 0.26%. Not a great deal of company news today, however Fortescue (FMG) is catching our eye as it once again sets 24 month highs with a crack over $7. 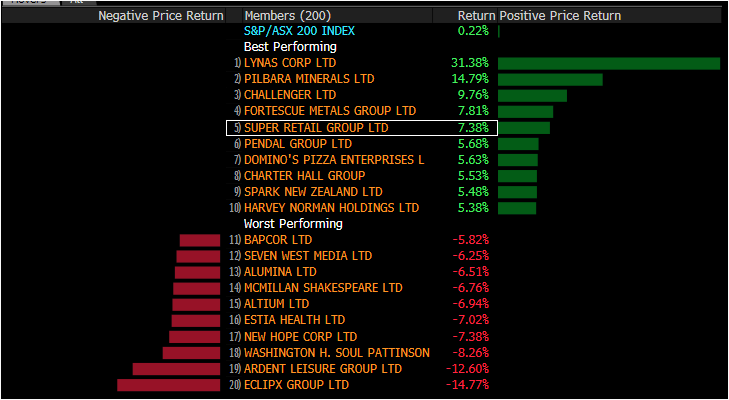 Currently trading 3% higher alongside reasonable gains from the other iron ore names thanks to more commentary around Vale’s supply outage. On a conference call yesterday, Vale’s management suggested a best case scenario would see 75mt out of the market this year, and around 40mtcurtailed through the next few years.